Let Ghalid transport you to his home town of Marrakesh. Taste the flavours and enjoy the colours of this cuisine that celebrates seasonality and spice! We will be digging up beetroots and pickings strawberries the day before to make sure these dishes are bursting with local flaovur. Makfoul is a very traditional dish cooked in family homes across Morocco in a tagine for hours to give it its distinctive flavour and one you might not have heard of before, but you need to try! Don't worry there is a vegetarian option available that hasn't escaped the Ghalid flavour touch! Your starter and dessert are reflective of his more traditional French training mixed up with a more modern influence. Having worked with Ottolenghi in London you can see where this comes from! So add that to a venue that is utterly charming - a converted church used by Native Feasts - this is one not to miss. Ample parking and just 15 minutes from Oxford - come and join us and be transported to Marrakesh for the evening! Pav Vada - spiced deep fried potato served in a bun with various chutneys - just look at the photo!! We know that Samar's classes are going to be extremely popular - we are also running a class specifically on Gujarati cooking and look out for a longer class at Miele - A Tour of India... exciting times for our Indian Food lovers! With all of Ghalid's classes selling out as fast as we put them up we are now posting classes for August and December in March to cater for demand!! The classical Ligurian focaccia from Lecco - the true origin of focaccia! Pizza making in the Teepee!! ** NEW FOR 2019 ** After visiting Leah who runs Fitness on the Farm (an outdoor gym for those who love to exercise in the fresh air!) in Frilford near Abingdon and seeing her amazing venue and most importantly, that teepee!! !, we thought what a great idea it would be to hold some events there during the spring and summer months. So why not join Ursula and I in the Teepee and learn how to make your own authentic Neapolitan pizza at home, using simple ingredients and easy techniques. You will make the dough from scratch, learn how to stretch and shape it and top the classic melting mozzarella and tomato - you won't find a pineapple slice in sight!!! - Deliciously light and oh so tasty! With the farm’s fabulous purpose built pizza oven ready to go we know this class will be popular with you all! With plenty of parking and just 5 minutes drive from Abingdon – what is stopping you!!! Why not check out their website www.farm-fit.co.uk to see what Leah gets up to and to see the farm in all its glory..
A warm welcome back to Ghalid who has worked in London and Paris with Ottolenghi, in Bath at the Bertinet Kitchen and in la cucina Calesi in London. Next March is he heading back up to Oxford and will be bringing the kitchen alive with his Moroccan feast. Perfect for a cold March morning we will be transported to Marrakech (well for a couple of hours!!) and the sights and smells of the most delicious and colourful foods. The menu for this class is amazing - an absolute feast! Bang on trend and a class that you won't find outside of London - Japanese Street Food! Japan has a big tradition of street food with huge festivals serving up delicious warm snacks. Yukiko will guide you through the three of their most popular dishes. This class is a first and will introduce to you to a myriad of new ingredients - all easily available to buy - and something to impress your friends and family with! Okonomiyaki is the Japanese variation of a savory pancake, filled with cabbage and a topping of your choice. When broken down to okonomi (as you like it) and yaki (grilled), the word itself means grilled as you like it, so okonomiyaki is a very personal meal. Takoyaki is a traditional marketplace street food found in Japan. The snack is shaped in a delicious ball made of wheat flour in a special takoyaki pan, designed to create the shape. It is usually filled with minced or diced octopus, tempura scraps, pickled ginger and green onion. The takoyaki balls are then brushed over with a sauce resembling Worcestershire sauce, and mayonnaise, and are finally topped with dried bonito flakes. Omu-soba are one of the most-beloved snacks enjoyed at Japanese festivals throughout the year. Yakisoba, literally "fried buckwheat", is a Japanese noodle stir-fry wrapped in fluffy omelette. We will enjoy all this with a cold Japanese beer - what better way to enjoy a Saturday afternoon. Welcome back to our resident Vietnamese/Filipino/Chinese experts - Chris & Venus Cardwell. With 3 sell out classes behind them (at time of publishing!) we know that this class will go down a storm. The perfect way to get your family and friends to help in the kitchen! We've chosen the three popular finger foods from 3 cuisines - pork filled Lumpiang Shanghai - Filipino spring rolls but meatier, Wonton Dumplings with spicy, numbing Szechuan Chili Oil and the now popular Vietnamese Salad Rolls with a home made Peanut Dip and flavoured fish sauce dip Nuoc Cham-- much easier than you think! Book fast to avoid disappointment - these classes are flying out!! Whether you have an intolerance or you just want to learn more about this extremely popular form of cooking this class is perfect for you to master the basics and also find out how to adapt recipes with some simple basic store cupboard ingredients! Yukiko is on a mission to inform us that sushi is not just salmon and avocado!!! After two sell out classes this year already - and its only January! we had to add another!! 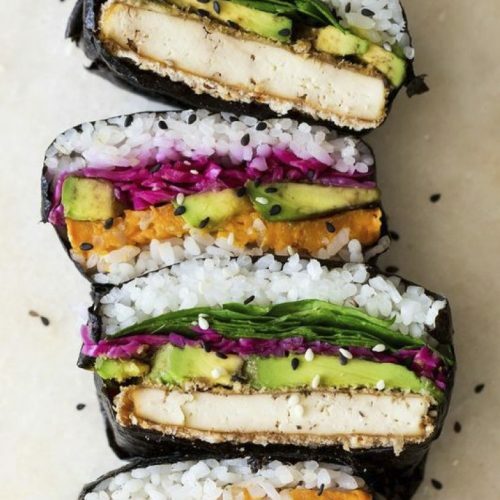 Join us at our favourite Jericho venue, Barefoot Cafe, Walton Street Oxford and spend an evening learning how to make the traditional Futomaki and Hosomaki rolls but also the Uramaki (inside out!) rolls. This is the perfect class to learn the techniques and then have the confidence to go home and make your own at a fraction of the price of shop sushi and also oh so much more tasty. Finish off with an authentic green tea and ask Yukiko as many questions as you possible can, and people do! From the amount of photos we get back from people showing how successful they are at making sushi afterwards we know this class works!! You will learn how to make two types of pasta in this class the traditional egg pasta but also the water based semolina style pasta - each shape differs with its preference to a specific type of pasta!! During this fun hands-on cheese making course, you will be introduced to the science of turning fresh milk into a variety of cheeses. You will also receive a folder of theory and recipes. You’ll make halloumi, ricotta and mozzarella cheese which will be edible right away. During the day, Louise will demonstrate butter and mascarpone making. You’ll enjoy the delicious freshly made butter on crusty bread for lunch and the mascarpone with Louise's fabulous lemon drizzle cake. No previous cheese making experience is required and the emphasis will be on making cheese in your home using readily available ingredients and limited equipment. The class is suitable for vegetarians as you will be using vegetarian rennet. Please let us know any allergies or special dietary requirements on booking. Have you always wanted to master the art of making your own Gyoza? Japanese gyoza are a great food to share with friends and family and are the ultimate Japanese street food! Let Yukiko teach you the art of folding your own using 3 different types of fillings including pork, prawn and vegetable varieties. It is always wonderful to see people's faces in the class when they suddenly realise that they too can do it!!! You will also learn how to make different types of Japanese sauces to accompany them. As with all our classes we will be able to recommend local suppliers for all ingredients so that you can go home and replicate them straight away. Transport yourselves to a street food stall in Korea.... the sights, the smells, the just made food bursting with flavour and colour. Venus and Chris are back with their energetic and passionate style of teaching, this time, Korean Street Food. There are some classic dishes here - who could resist the most perfect Korean fried chicken - balanced out with a crunchy fresh kimchi! Yukiko is on a mission to inform us that sushi is not just salmon and avocado!!! We can't wait to bring Sushi to Woodstock!! Thanks to Fraser and Emily - after our first class in March, we are back in the Barefoot Cafe in Market Street. Spend an evening learning how to make the traditional Futomaki and Hosomaki rolls but also the Uramaki (inside out!) rolls. This is the perfect class to learn the techniques and then have the confidence to go home and make your own at a fraction of the price of shop sushi and also oh so much more tasty. With all of Carolina's previous Tapas classes selling out fast - book early to avoid disappointment! With his first class in January 2019 selling out we had to put on another one straight away to cater for the high demand for this class!!! Ghalid has worked in Paris and in London with Ottolenghi, the fantastic London bakery so you are in good hands! Learn to recreate the finest French patisserie in this hands on class. Ghalid’s class will show you how to master a number of techniques ranging from perfect puff pastry to mousseline cream . Then you will use these skills to assemble the following creations which taste as stunning as they look: Chocolate mousse gateau Mini mill feuille Financier Frangipane tarts Everything can be taken home with you and we will provide you with a light lunch during the session. 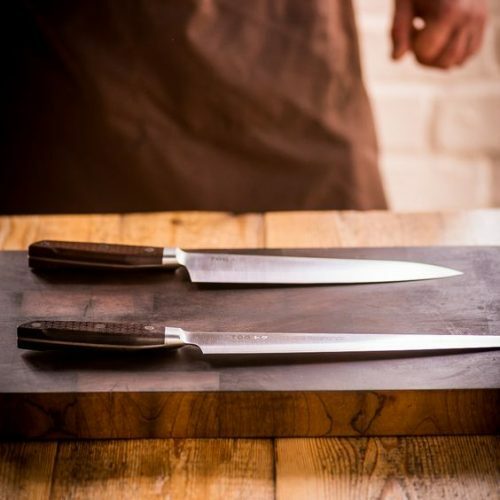 This class is a must if you want to master the art of how to use the fundamental cook's tool - your trusty knife with the highly experienced chef Vince Langton. You can bring your own knives but we will also have a full set for you to use. You will be taught how to handle your knife like a chef and be able to slice and dice like a pro by the end of the class. We will prepare classical and traditions cuts of vegetables, finely chopping herbs for dressings and learn how to save on cooking time and of course most importantly money. During the class Vince will also demo deboning a chicken so please let us know if you are vegetarian! You will also get the chance to learn how to sharpen your knives - if you have your own set bring them along! We will stop briefly for a light lunch during the class. We know that this class is going to be as popular as all Ursula's classes are so book fast to avoid disappointment! With classes selling out left right and centre the next offering from Venus & Chris is going to be a Thai and Vietnamese mix up! You will learn how to make 4 dishes and accompanying dipping sauces. Learn the secret of spices and flavours to enable you to recreate at home. Don’t worry they very kindly give you a stockist list that will enable you to find absolutely everything!! So get ready to learn how to make the following – Gaeng Hang Lay – A Northern Thai curry of Burmese influence, thick, oily and fragrantly spiced sauce, paste made from scratch with ginger and tamarind cutting through the richness of the pork. Ga Xao Xa(Vietnamese lemongrass chicken) - Sweetness and lemongrass balanced out with fish sauce and Thai chillies in this quick and fresh stir fry. Scallion oil and nuoc cham will also be made to accompany this dish. Vietnamese Meatballs in Tomato Sauce - A Sloppy Joe inspired meatball dish, crossed with Asian flavours of fried shallots and coriander. Can be served Banh Mi style (A typical Vietnamese sandwich is a fusion of meats and vegetables including cucumber, and pickled carrots and daikon) with lots of fresh herbs and chillies to balance it all out. Vietnamese Summer Rolls - Rice paper rolls with sliced pork, prawns and delicious home made dips of peanut, hoisin and Nuoc Cham. With the March class sold out within 6 weeks we recommend booking this one - FAST!!!! Our last Complete Beginners Cookery Class with a sell out - and for good reason! You will walk away with a mind field of information and a newly acquired confidence in the kitchen - but more than that you will feel inspired and want to go home and recreate so easily what Carolina has taught you! Don't worry we will give you a break for lunch and there will be refreshments available throughout the day. We want to dispel the myth that cooking is complicated and as Julia Child's famously said "The only real stumbling block is fear of failure. In cooking you've got to have a what-the-hell attitude." This class is going to fun so come and join us to catch the cooking bug!! Chock full of good bacteria (probiotics). Learn how to make sauerkraut, kimchi, preserved lemons and other vegetables and fruit ferments. Discover new ways of combining these ancient foods into everyday meals. At the end of the course you will have three items to ferment at home along with recipes and the knowledge and confidence to experiment further. We will even provide the jars for you!!! Ursula Ferrigno is a talented cook with a deep love of Southern Italian food. Half Italian and a noted teacher Ursula specialises in demonstrating the making of Italian breads, Italian soups, risottos, vegetables, fruit dishes and every kind of pasta dish. She has cooked on many TV programmes and is a prolific author. She is also listed by the Guardian as one of their 10 top chefs to learn to cook with - and after a class with Ursula you will know why. So for our November class we have incorporated lots of seasonal vegetables and added a dash of the Med! Our carefully put together menu also means you get to learn the basics of bread making and pasta making too. As will all of Ursula's classes they book up fast so avoid disappointment and get booking! Ursula Ferrigno is a talented cook with a deep love of Southern Italian food. Half Italian and a noted teacher Ursula specialises in demonstrating the making of Italian breads, Italian soups, risottos, vegetables, fruit dishes and every kind of pasta dish. She has cooked on many TV programmes and is a prolific author. She is also listed by the Guardian as one of their 10 top chefs to learn to cook with - and after a class with Ursula you will know why. As soon as we put these classes up they sell out - so get booking to avoid disappointment!!! We have put together a new menu bursting with summer flavours - imagine freshly podded broad beans and just picked strawberries from Medley Manor Farm in Oxford. Roll on July!!! Ghalid has worked in Paris and in London with Ottolenghi, the fantastic London bakery so you are in good hands! Learn to recreate the finest French patisserie in this hands on class. Ghalid’s class will show you how to master a number of techniques ranging from perfect sweet pastry to mousseline cream. Everything can be taken home with you and we will provide you with a light lunch during the session. This class is a must if you love your cakes and baking! Transport yourself to the South of France with Marcia and capture the last few days of late summer as she takes you on a culinary tour - embracing the vivid flavours of the French Mediterranean. Expect to cook fresh fish and sparkling produce fresh from the market along with olives, herbs, garlic and delicate olive oil. Vive la France! Marcia is back for her second class with us here in Oxford! Usually found teaching in London, Marcia was one of the original Directors at Divermenti in Marylebone, so highly experienced indeed! Marcia’s passion is the Mediterranean, yet a year spent in Mexico confirmed her love of Central American and South American flavours. Mexican food has so much to offer so why not join Marcia this autumn and learn how to make this perfect Mexican menu when you get home. We think that these classes are going to be extremely popular so book fast to avoid disappointment! You won't find another Portuguese class in Oxfordshire so book fast to avoid disappointment!